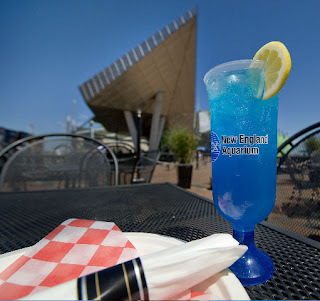 Slide into some flip-flops and cruise into summer with a cool cocktail in hand at the annual opening bash for the New England Aquarium's waterfront bar and restaurant, The Reef. It's time to kick off your summer with free appetizers, creative cocktails, live music and fantastic giveaways — all at Boston's best outdoor bar! Just in time for some scorching temperatures, be among the first to see this summer's sizzling styles at this beachy fashion show starting at 6:30 p.m. Featuring looks from Boston's Sun Spot, TV Diner's Jenny Johnson will emcee this annual style extravaganza on the blue carpet. You won't want to miss it... last year's event was covered in the Names section of the Globe! Start your summer off right at the New England Aquarium's The Reef on Central Wharf! Plus, all night long you can enter to win loaded beach bags, gift certificates and free tickets to the New England Aquarium! More information: Caitie Peterson- 617-269-7171 or caitlin@teakmedia.com. A birthday fit for a queen (triggerfish)! Clouds and crowds for World Oceans Day! Weymouth Herring Run - A Job Well Done!